Most businesses want more traffic, but what they actually want to generate is more leads & sales! We establish your brand as the market leader and create sales focused & customer generating designs that can impact all of your advertising campaigns immediately. Contact us now and we’ll conduct a free audit of your website, plus any active campaigns, and provide you with a personalised ‘no fluff’ digital strategy that we’ll use to amplify your leads and sales. "We’ve seen about 500-600% increase in both traffic and sales. Would definitely recommend." "PixelRush have helped life our average monthly website traffic by 20+ percent. They're the next level with SEO. More traffic = more customers right? Wrong! Most businesses don’t realise it but they have a conversion problem – not a traffic problem. Your website or landing page is the backbone of everything you do online – consider it your 247 sales person that doesn’t require commissions, a six figure salary and it won’t take sick days either. Just like any salesperson, if your website can’t close the deal then you are leaving money on the table. Ask yourself, are you spending a tonne of money on paid traffic and getting little or nothing in return? Are you pushing rankings and traffic but not seeing any increase in leads? Does it feel like no matter how many visitors you receive, all that is left is eerie silence and an empty inbox? We can help. We establish your brand as the market leader, numero uno so to speak, and create sales focused customer generating designs that demand attention and convert more of your visitors into red hot paying customers, all without spending a cent more on advertising! We guarantee to outperform any existing digital marketing campaigns within 3 months or we’ll provide you with additional time at no charge. We don’t hide behind fake numbers; every activity of your campaign is tracked and available for you to access 24 hours a day. Never deal with a sketchy agency again, complete end of month work reports detailing the exact breakdown of the work we’ve completed for you. No more account managers or disconnect; speak directly to the management team who understand your campaign in detail. Don’t risk a penalty; 100% safe and google friendly strategies, don’t risk the chance of a penalty to your online business. 100% risk free digital services. We enjoy long term partnerships with our clients’, but we won’t lock you in. Just give 30 days’ notice to cancel your campaign at any stage. We can help you to increase conversions by up to 150% without spending an additional cent on advertising. Firstly, we provide you with a comprehensive questionnaire to identify the critical factors that will make your brand stand out. We analyse how to position your business as the leader in your industry and feed hungry customers with the exact information they seek. 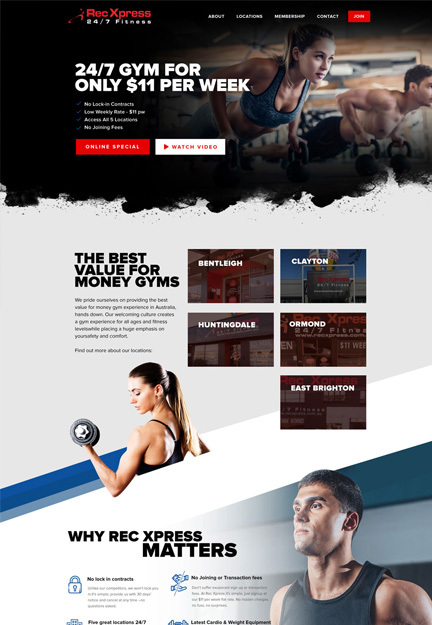 Secondly, we turn your sales copy into an eye popping custom design that gets the attention of your visitors fast. We maximise the potential of every section of your site with the sole purpose of psychologically influencing more of your visitors to take action. Lastly, we track everything including enquiries, phone calls, sales and signups and take the guesswork out of marketing your business online. Our websites are driven by data, no guesswork here just the facts you need to continually grow your business. The average website converts between 2-3%, which means for most businesses an alarming 97% of your visitors are not engaging. Don’t be like others in your industry, constantly ignoring one of the single best opportunities you have to double or triple your sales right now. Businesses will spend tens of thousands on generating more traffic but only a fraction of that on the critical elements and design that leads to the sale. They seek volume because they aren’t getting enough sales. It’s only once you see the true value of of your website, and the massive growth in sales it generates, that you begin to realise just how much money you’ve left behind! 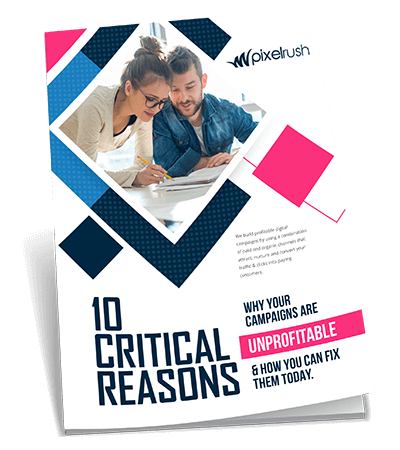 Our websites typically achieve conversion rates between 10% and 30%, depending on many – factors, and we’ve single highhandedly doubled profits for many customers overnight. All you need to do is get in touch with us today, we’ll provide you with a free no obligation video review of your website and show you exactly how to improve your sales right now. Delivering long-term results and keeping our customers happy.